POPE CALLS WALL BUILDING “UNCHRISTIAN”. NOT THE CASE IN THE BIBLE BOOK OF NEHEMIAH. Recently, the Catholic Pope has made accusations against Protestant Presidential Candidate Donald Trump which allege that he is not a Christian. The Pope stated that one who wants to build a wall instead of building bridges cannot be a Christian. Trump’s plan to build a wall is consistent with a plan to keep out enemies and intruders. Where else have there been incidents of walls being built to secure a location against intruders? None other than biblical Jerusalem. Who set out to rebuild broken down walls to keep out intruders and secure borders? A biblical governor named Nehemiah. The defense walls of Jerusalem surround the old city of Jerusalem, and were originally built to protect the city against intrusions. In the Bronze age, a city named Jebus was built on a south hill of Jerusalem. Jebus was later taken over by King David who began expanding the city, and renamed it City of David. His city is still located outside of the old city area of today. David’s son Solomon had inherited the city and extended it’s walls. The walls that surround the old city of Jerusalem have attracted tourists from around the world. Hundreds of thousands have approached the great wall in awe of it’s historic beauty and biblical meaning. The wall stands as a reminder of Nehemiah’s instrumental part in rebuilding and reestablishing Jerusalem in the fifth century, after it was destroyed in 587-586 BCE during a siege led by Nebuchadnezzar, King of Babylon. Nehemiah was a high official in a Persian court at the capital city east of the Tigris River called Susa, which is now known as Iran. He was known in Nehemiah 1:11 as the “cup-bearer” which likely gave him privileges to request favors from the king. With permission, he set off to rebuild Jerusalem. In 445 BC, Nehemiah and Ezra began to restore the city and reestablish the Jews commitment to God. The people helped to quickly repair the breaches in the wall. Nehemiah had guards stationed to defend against those who opposed the work, such as the armies of Samaria, the Ammonites, and the Ashdodites. Rulers of adjoining areas resisted Nehemiah’s plans to rebuild the walls. Border outposts came with specific instructions and procedures for the commanders, including changing guards, opening gates and patrolling access routes. Above: Hittite regulations required that commanders had to ensure that deportees could recover from their destitute situations. 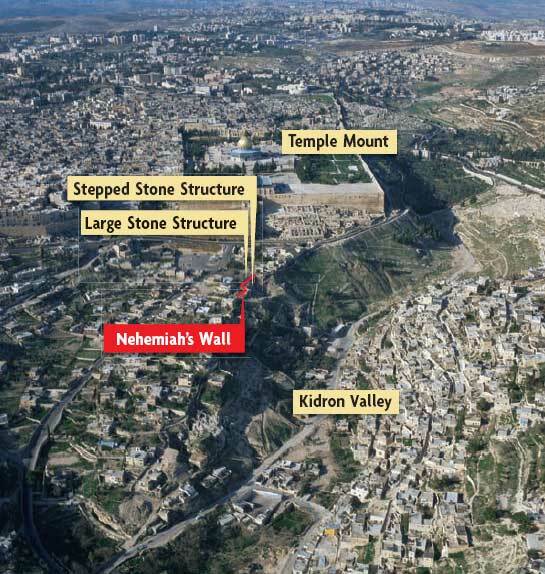 Atop of the eastern ridge of the City of David, Nehemiah and the exiles who had returned built a brand new city wall. The wall just above the steep Kidron Valley was too damaged and difficult for them to repair. 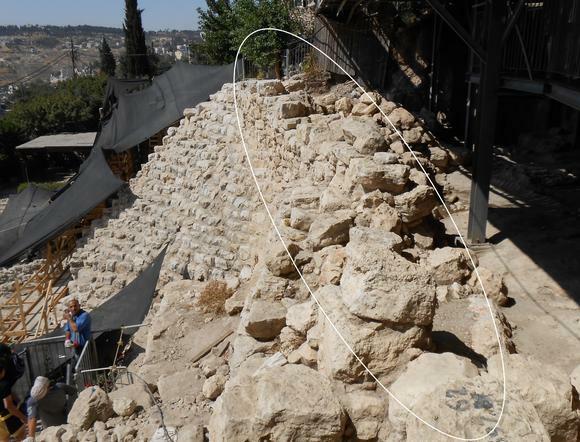 They relocated the eastern wall higher up the slope and built it on top of a ruined wall of King David’s palace (aka the Large Stone Structure). The rebuilding and repair of the wall was completed in just under 2 months. Nehemiah was a man of God. Though faced with great opposition, he called upon God to lead him in building a wall that would restore a city and keep intruders out. 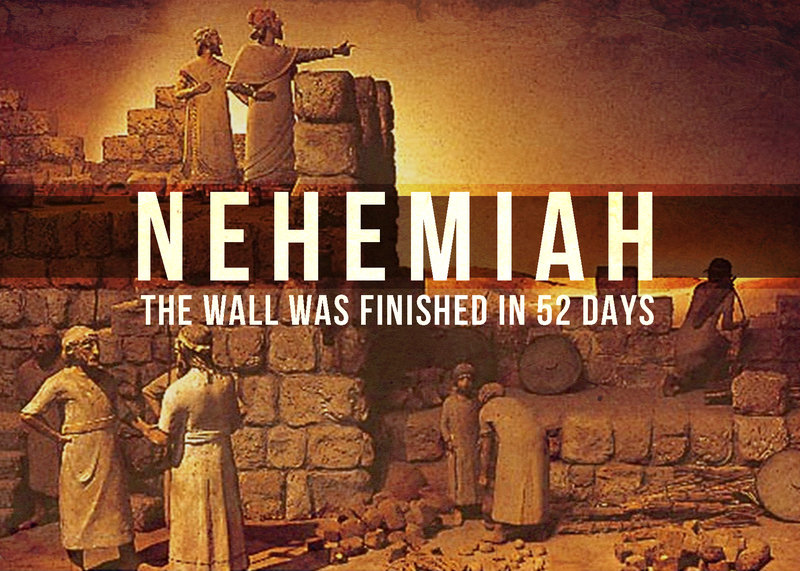 The Lord saw fit to bless the efforts of Nehemiah. A great mission was accomplished. Though he faced enemies along the way, Nehemiah had been devastated by the destruction of the city, and dedicated himself to rebuilding. Such is the case with Donald Trump, who has pledged to secure and rebuild. However, the Catholic Pope believes that warding off intruders is not Christian, and that one is to instead “build bridges”. One wonders why a religious leader would suggest to allow open doors for enemies such as terrorist organizations or potential criminals. With such a high concern about terrorism and the rise of deaths to American people, why would the Pope from another country stand against keeping another nation safe, just like Nehemiah did? The walls of Jerusalem are approximately 2.5 miles long, 39 feet high, and 8 feet thick. There are over 30 watchtowers and 7 main gates for traffic to come through. Who is coming through our borders? Video from 2010 shows how long this has been going on, with nothing being done to stop drug cartels and terrorists. The Jerusalem walls and the old city of Jerusalem were added to the World Heritage Site List. A World Heritage Site is a place listed by the United Nations Educational, Scientific and Cultural Organization (UNESCO) which deems the place or monument to have special cultural or physical significance. 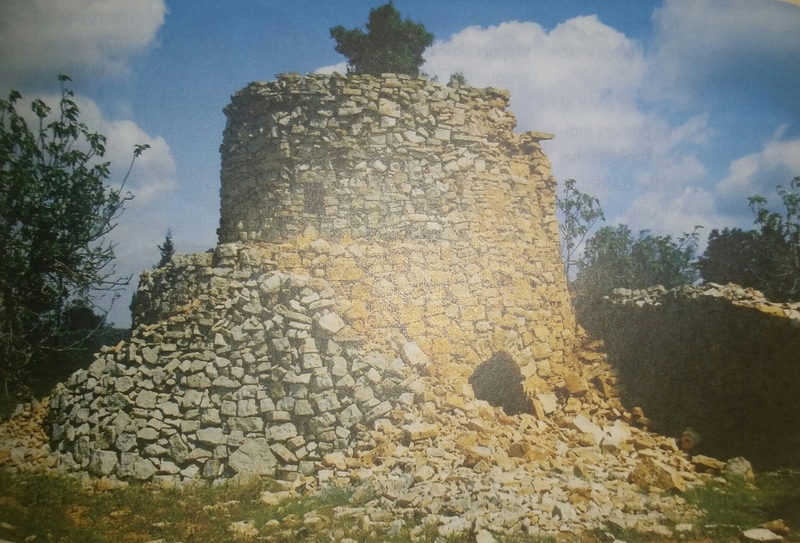 The World Heritage Centre is in the process of working on an Action Plan for the Safeguarding of the Old City. Plans include improvement of living conditions, and preserving architectural elements, an important component of the World Heritage Site of Jerusalem. Maintaining the period character of the historical buildings is of major significance in the plans to rehabilitate. Is Donald Trump alone in his desire to protect against enemies and intruders, and rebuild a place back to what it was? Ask yourself: How easy is it for a terrorist to enter my unprotected land? Read the book of Nehemiah and read the challenges he faced when he went about his mission to rebuild, even in the face of opposition.